Australia's richest maiden race for greyhounds, the Vince Curry Memorial. This glamour event was first run at the Ipswich Showgrounds track in 1985. It was won by Katie's Lad, trained by Peter Coleman. Since then, many winners have gone on to become household names of greyhound racing, including Mick Ivers' Captain Standby in 1992, Gary Ralph's Classy Marcy 1994, Mick Abbott's Token Prince 1997 and Paul Felgate's Just the Best in 1999. Most people who follow the event have probably heard of Vince Curry, but know little about him. Known as racing's Mr Nice Guy, Vince Curry had a passion for the `'Sport of Kings'' and radio broadcasting which was seldom rivalled. Born at Oakey, near Toowoomba, in 1929, Vince was captivated by racing at an early age. He used to do phantom calls of races, and was noticed doing this as a teenager. He became course commentator at the Toowoomba gallops when aged 16. Upon leaving school at age 17, he joined local radio station 4GR, and made his mark as an announcer and commentator before transferring to Brisbane in 1960 to replace the retiring gallops caller, Ron Anwin. At radio 4BC, and through radio stations Australia wide, Vince became a household name and instantly recognised voice. As well as his horse racing descriptions, Vince also excelled at describing a variety of sports, including Davis Cup tennis, test cricket. Olympic Games track and field and swimming, and one of his main loves - boxing. Vince had a dry sense of humour, and it was during one of his boxing broadcasts at Brisbane's Festival Hall that a funny incident occurred. Vince called athletics at the 1972 Munich Olympics. He called an Australian gold medal winning performance, only to find out that the radio broadcast line to Australia had gone dead. Bear in mind this was back in an era when there was no live television coverage of the Olympics. People back home were glued to their radios in the wee hours of the morning, awaiting the various sporting descriptions. Vince didn't even have a recording of that gold medal race. He had, as fate would turn out, called what he considered the greatest call of his career to one person - himself !! 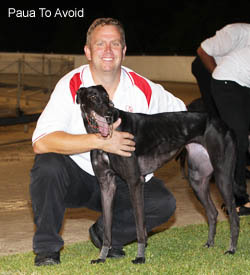 You may ask - why would a leading greyhound club like Ipswich pay such respect to Vince Curry via its big maiden event ? After all, Vince never called greyhound racing. 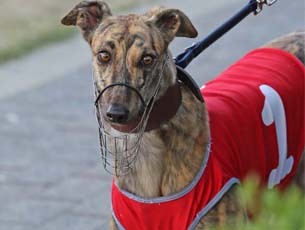 Vince did enjoy a night at the greyhounds, and on occasions, was the guest starter for the annual Celebrity Hurdle race at the old Gabba track. During the Brisbane Commonwealth Games of 1982, I called a few Doomben and Eagle Farm race meetings, deputising for Alan Thomas who was involved in Channel Nine's coverage of the Games. During that period, I worked alongside Vince Curry. He told me that his back had been playing up for a while, and friends had convinced him to go and have it checked. He did so, and was diagnosed with inoperable bowel cancer. Vince passed away four months later, in February, 1983, aged 54. It is with a sense of pride that I get the opportunity to call the Vince Curry Memorial series here at Ipswich. But it's always done with some sadness. Each year, I remember a wonderful man at this time. If Vince Curry was still alive today, he would be aged 78. 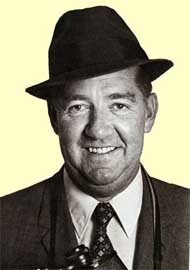 So too would legendary Victorian caller, Bill Collins, who passed away in 1997. Collins and Curry were both born in 1929. Vince was a bachelor all his life. I once asked him why he never married, and he said: `'I'm married to racing.'' Indeed he was. Good luck to all as you chase the $25,000 winning prize. Vince Curry will be watching from the great racetrack in the sky.